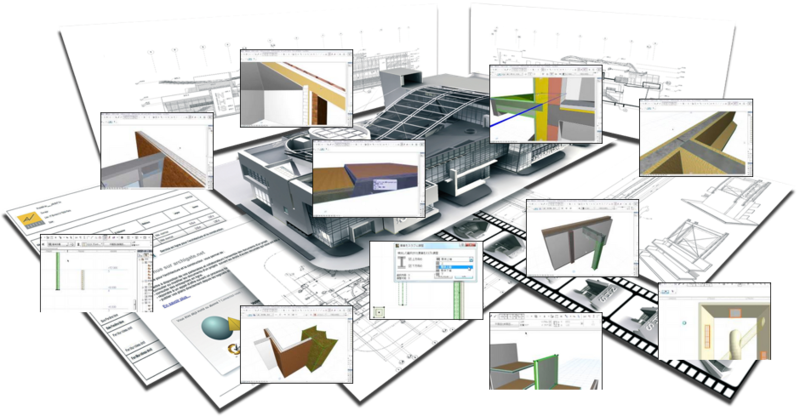 Registrazione del Seminario online ArchiCAD sul tema Open & Online BIM Collaboration. Per scoprire qualcosa in più su BIM Server e come può essere d’aiuto nella pratica quotidiana di chi si relaziona con team di progettazione internazionali ed interdisciplinari. Nell’ambiente altamente collaborativo di ArchiCAD i tempi lunghi per la sincronizzazione delle modifiche al progetto su server sono ormai cose che appartengono al passato, grazie alla tecnologia Delta Server che minimizza il traffico dati sulla rete. Tale riduzione di dati per la sincronizzazione permette di connettersi al progetto sfruttando le normali connessioni internet, quasi da qualsiasi parte del mondo. Tra le maggiori preoccupazione dei capiprogetto in ambito CAD/BIM spicca sicuramente l’eventualità di ritrovarsi con dei dati corrotti, irrecuperabili, a causa di un problema hardware o di rete, perché si tratta spesso di veder svanire gli sforzi di parecchie ore di lavoro a danno di tutto lo studio di progettazione. Il BIM Server ha una robusta architettura di sistema che assicura l’integrità dei dati del progetto BIM in qualsiasi momento, qualsiasi errore derivante da qualche malfunzionamento viene bloccato prima che che vada ad intaccare il progetto, preservando la sua integrità. Il nuovo sistema TeamWork di ArchiCAD dispone dell’accesso ad oggetti e componenti on-demand per il progetto e della gestione della sicurezza dati a livello server, combina la flessibilità del disegno bidimensionale con la potenza della coordinazione del lavoro basato sul modello virtuale. Questo consente agli studi strutturati di mettere i propri collaboratori nelle condizioni di rendere al meglio all’interno di un flusso di lavoro dinamico e controllabile a livello centrale. I simply want to mention I’m beginner to blogging and honestly enjoyed this blog. Most likely I’m likely to bookmark your blog post . You amazingly have really good articles and reviews. Bless you for revealing your web site. F*ckin’ tremendous issues here. I’m very satisfied to see your post. Thanks a lot and i’m looking forward to touch you. Will you please drop me a e-mail? Its superb as your other articles : D, thankyou for putting up. “To be able to look back upon ones life in satisfaction, is to live twice.” by Kahlil Gibran. Some really nice and utilitarian information on this internet site, as well I conceive the style and design has fantastic features. Thank you, I have just been searching for information approximately this topic for ages and yours is the greatest I have found out till now. However, what concerning the conclusion? Are you positive in regards to the source? I conceive this website contains some rattling fantastic information for everyone :D. “We rarely think people have good sense unless they agree with us.” by Francois de La Rochefoucauld. You could definitely see your skills within the paintings you write. The world hopes for more passionate writers such as you who aren’t afraid to say how they believe. At all times go after your heart. “In order to preserve your self-respect, it is sometimes necessary to lie and cheat.” by Robert Byrne. Thanks a lot for sharing this with all people you really realize what you’re talking about! Bookmarked. Please also visit my site =). We will have a link alternate contract among us! Hello there, I discovered your website by means of Google even as looking for a related matter, your website came up, it appears to be like great. I have bookmarked it in my google bookmarks. You are my intake , I own few web logs and often run out from to post .I think this internet site has got some very fantastic information for everyone. “A man’s dreams are an index to his greatness.” by Zadok Rabinwitz. certainly like your web-site but you need to take a look at the spelling on several of your posts. Many of them are rife with spelling problems and I in finding it very troublesome to inform the reality however I will definitely come again again. I have read a few just right stuff here. Certainly worth bookmarking for revisiting. I wonder how much attempt you place to create the sort of fantastic informative site. You really make it appear so easy along with your presentation but I in finding this matter to be actually something that I think I’d by no means understand. It seems too complex and extremely vast for me. I’m taking a look ahead in your subsequent submit, I will attempt to get the hang of it! Great amazing things here. I am very satisfied to see your article. Thank you a lot and i’m looking ahead to contact you. Will you please drop me a e-mail? Keep up the excellent piece of work, I read few articles on this site and I believe that your website is real interesting and holds lots of superb info . Magnificent website. Plenty of useful info here. I am sending it to some pals ans additionally sharing in delicious. And obviously, thank you to your effort! Usually I don’t read article on blogs, however I wish to say that this write-up very compelled me to try and do it! Your writing style has been amazed me. Thank you, very nice article. I am also commenting to let you be aware of what a really good experience my cousin’s daughter gained viewing your web page. She even learned such a lot of things, including how it is like to have an incredible teaching heart to get most people quite simply fully understand specified impossible subject areas. You actually did more than our own expected results. Many thanks for rendering the productive, dependable, educational and also fun guidance on that topic to Lizeth.